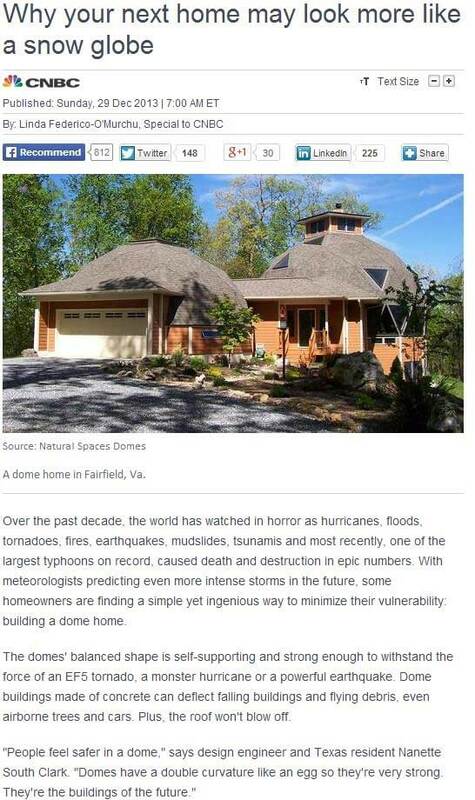 The geodesic roof design, more commonly known as dome roofs, is stepping out more into the limelight as more home and construction design experts recognize its advantages. As natural calamities become stronger each year, more resilient structures are required, not only to protect properties but also to save lives. With this trend, therefore, it does not seem all too farfetched for many American homes to adopt this design and “look like snow globes” in the coming years. Among the proponents of this design is the Monolithic Dome Institute (MDI) based in Italy, TX. Since its inception, it has provided dome-roofed structures primarily to disaster zones, such as the village of Ngelepen in Indonesia, which was among the most heavily-damaged in the country following the earthquake of 2006. What’s keeping dome roofing from taking center stage in the industry? Some people aren’t used to seeing big balls on top of their homes. While dome roofs may take a while to be mainstream, there’s a need to clarify on the pros of the design. For starters, it can be roofed using asphalt shingles that Michigan roofing companies offer. Geodesic roof design, contrary to popular belief, isn’t necessarily a smooth dome. If you’ll look closely, you can see triangular sections that make up the dome roof. Asphalt shingles are, arguably, the most affordable method of roofing a dome roof. Three-tab shingles are widely used for this type of roof, but experts recommend architectural shingles that are heavier than their three-tab counterpart. As the shingles’ orientation puts them at a higher risk of being blown off, weight and durability in roofing materials matter. The sheer weight of architectural shingles can be attributed to its increased protection. A heavy fiberglass mat takes the place of the felt in three-tab shingles, giving it more durability. Adding to its resilience is the multiple layers of asphalt and granules. In heavy precipitation, architectural shingles have reserve layers in case the superficial layer wears away. Keep in mind that the shingles may not be installed as they are due to the geometric properties of the dome design. They may need to be custom-made to fit within the triangular sections. A professional Detroit roofing company like Kroll Construction can provide quality architectural shingles, which come from well-known brands such as Owens Corning. With the right planning and materials, geodesic roof design won’t look so bad in many people’s eyes. It just might make the difference during a future storm.